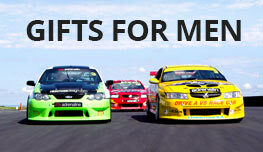 Drift School, Brisbane – the ultimate gift for the lead-footed rev-head in your life! This half-day experience takes place under expert supervision with Professional DA Drift drivers. The No. 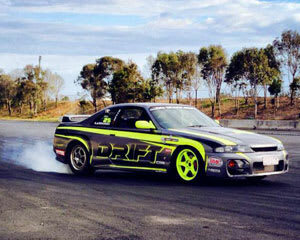 1 Drift Experience in QLD. Check out the NEW video! It's time to get fast and furious with this sensational Half Day Drift Experience led by professional stunt driver and stunt double in Mad Max 2015 Eugene Arendsen. After a safety briefing and introduction to these superb drift cars our professional instructors will begin with the drift basics. You will start with the handbrake using it deftly to warm up with some 90 degree handbrake slides. Once you're getting confident with the handbrake you will move on to barrel turns, figure 8's and tandem drift doughnuts. You will practice each maneuver before moving on to the next and once you have completed them all you will be ready to put them all together in the Driftkhana! The Driftkhana is a specially designed short course which will put together all the drift techniques you have learned. To cap it all of you will be strapped into the passenger seat and the pro will take the wheel for an awesome Drift Wild Ride. Sessions run from 9:00 AM - 12:00 PM and 1:00 PM - 4:00 PM. Drifting began in the mountain roads of Japan and has developed into a professional sport, popular across the world and highlighted in films such as the Fast and Furious. The object of drifting is to "manoeuvre your car through corners at speeds and angles beyond its ability to grip the track", whilst maintaining control and building driving skill. Thoroughly enjoyed the drift experience, so much, that I have already been three times. The staff are friendly and knowledgeable and its a great way to spend a day. Would highly recommend for anyone with a desire to take driving to another level. Really loved the experience the staff and equipment was fantastic. The instructors were very informative and great at explaining what they wanted you to do. The only down side is the amount of time you get to practice each thing. For the amount of money you pay to experience this you don't get enough time on the track which is a little disappointing. The guys at on track drift were so professional and patient Even though they had to get through a lot of people I didn't feel like I was rushed and they spent the time to give us all the best shot at trying to nail the tricks The only downer was that my camera ran out of battery so It didn't capture my last manoeuvre which I nailed!!!! i absolutely loved the whole event spent with really freindly staff and participants, the only thing that I can bring up is the lengthy waiting times between each event, but i do understand everyone needs to have a go. I gave my partner this as a birthday present and he absolutely loved it. He was raving for days and didn't have a negative word to say. He praised the staff and cars highly. The drifting crew were top class. The day was well organised and we all had an awesome time. I would definitely recommend this experience to anyone who is interested in learning the art of drifting. Great day, run very smoothly, it was great to see everyone enjoying them selves especially the drivers. I would recommend if possible offering the spectators a couple of laps at the end. 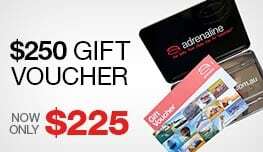 As the Mum I am not going to do the course but for $40 or so for a couple of minutes would be fantastic.